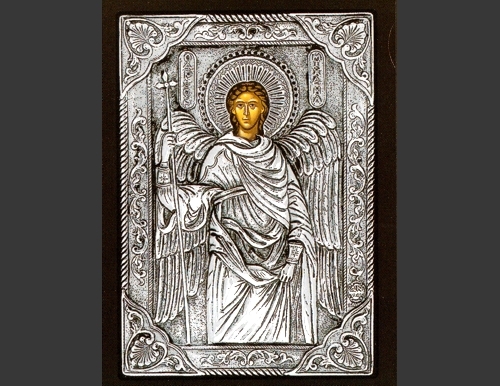 An exquisite silver Greek Orthodox icon of St. Michael the Archangel. 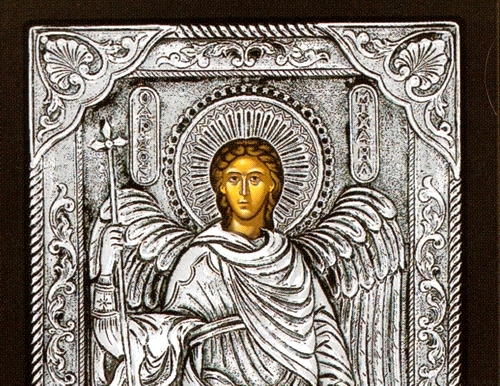 The Holy Archangel Michael is one of the most celebrated of the Angels. According to Holy Scripture and Tradition, he has interceded for humanity multiple times and continues to serve as the Defender of the Faith. St Michael is most often invoked for protection from invasion by enemies and from civil war, and for the defeat of adversaries on the field of battle. His feast day is on November 8.